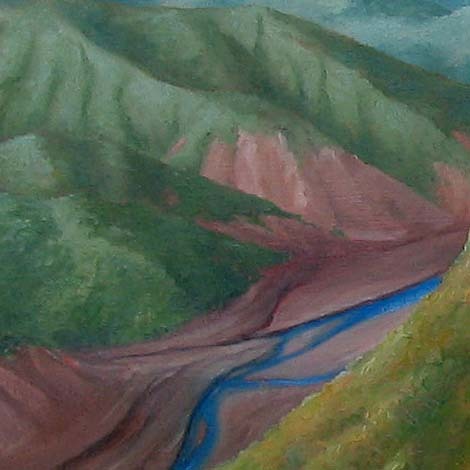 Original fine art New Zealand landscape painting and artwork for sale. 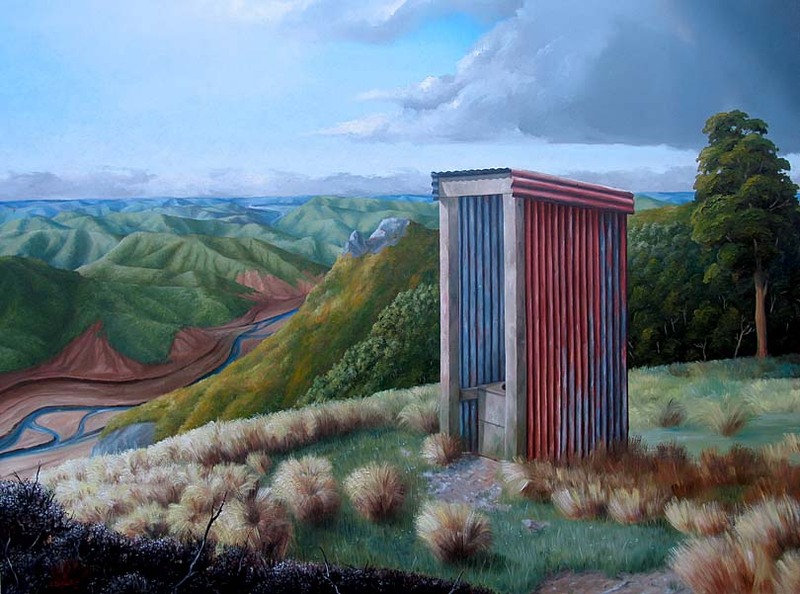 Composed for the 2008 Easter Show Art Awards this painting of a typical New Zealand bush longdrop set against a majestic view is fit for a king. Some criticism has been raised that the dunny doesn't have a door. However it is not an absolute requirement in the bush and many long drops are doorless if facing away from the hut. I should know, I helped my father build several of them.